*The deep sapphire shade that makes Blue Tansy so unique also may stain some surfaces, skin, and clothing. It may also stain diffusers. Keep out of reach of children. For external use only. Keep away from eyes and mucous membranes. If you are nursing, taking medication, or have a medical condition, consult a health professional prior to use. Not intended for use during pregnancy. 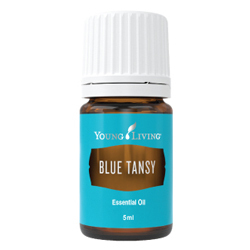 Blue Tansy may stain some surfaces, skin, and clothing.